If you have been charged with child abuse, it is imperative that you hire a criminal defense attorney early on. The Child Abuse Prevention and Treatment Act (CAPTA) is a federal law which requires the states to protect children from child abuse and neglect. Physicians, educators, therapists and clergymen are required by law to report suspected child abuse incidents. Child protective services (CPS) is then called in to investigate the incident. Because each state, including Nevada (NRS 200.50), takes child abuse allegations so seriously, you cannot afford to postpone securing legal representation. Get in touch with our Las Vegas child abuse lawyers, as soon as you can! As a Las Vegas criminal defense lawyer with over 15 years of experience defending the rights of the accused, our Clark County Nevada child abuse defense attorneys can make sure that you are properly supported! Keep in mind that if the abuse was willful and the child sustained substantial bodily or mental harm and if the child was 13 years or younger, this is a category A felony in Nevada. This can result in a life sentence in Nevada state prison with parole possible after 15 years. If the child was older than 13, this is a category B felony that can result in two to 20 years in prison. You can face up to 15 years in prison if the abuse was willful, even if the child did not suffer substantial bodily or mental harm! And if the abuse was permissive and the child suffered substantial bodily or mental harm, you could spend a life sentence or two to 20 years in prison. 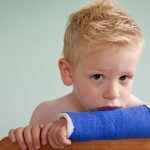 Even if the abuse was permissive and the child suffered no bodily or mental harm you could be charged with a gross misdemeanor, be forced to pay a $2,000 fine, and spend up to a year in jail. If you have a previous record for child abuse, you could face one to five years in prison and be forced to pay a $10,000 fine. Not only can a child abuse conviction impact your criminal record, it can affect your future employment opportunities and most importantly, it can affect your relationship with your children. Your kids could be taken away from you or you could have a restraining order placed against you. Because child abuse charges can have such severe repercussions, it is important that you do not delay in securing the aggressive criminal defense services you need on your side! Contact our Las Vegas child abuse lawyers today to schedule your free consultation by dialing (702) 930-5881.